When you think about all of the modern marvels that we have today, it's easy to take simple things for granted. The combustion engine, for instance, or the internet, or the wheel. In fact, in dentistry, there's a lot of common items that took centuries, even millenia, to perfect. Take toothpaste. Do you know where it came from and came to be what it is today? The team at our Lake Mary restorative dentistry center would like to consider the history of toothpaste. Our story starts many, many years ago in the ancient world. The Ancient Egyptians were believed to be the inventors of toothpaste. Their form of toothpaste was a cream applied to the teeth with a rag and scrubbed off as a way to help keep the teeth and gums clean and to make the smile appear white. This ancient tooth creams contained some unexpected ingredients, such as the ground ashes of ox hooves and burnt eggshells. Ancient Greeks and Romans had their own version of the Egyptian tooth cream, though their formulation contained crushed bones, bark, charcoal, and oyster shells. Neither of these two early toothpastes sounds all that appealing. The people of China in 500 BC at least included some more flavorful and fragrant ingredients in their toothpaste, such as mint and ginseng. In the western world, toothpaste would not be invented for a long while. Instead, many people uses tooth powders. These dental powders operated on a similar principle as basing soda does: it's an abrasive substance that helps polish the teeth and improve the look and cleanliness of the smile. Unfortunately, these tooth powders may have been too abrasive. Common ingredients included chalk, crush brick, and charcoal. Another tooth powder formulation was gentler and included crumbs from burnt bread. The 1800s would mark the birth of toothpaste as we know it. Soap was added to the dental powders of the past, in the 1820s, which helped improve the cleaning properties. Toothpaste as we knew it was born, but it wouldn't catch on in the mainstream until the mid-1800s. This early toothpaste was kept in boxes and jars, which was the best one could do at the time. It wouldn't be until the 1890s that toothpaste would appear in convenient collapsible tubes. A dentist named Dr. Washington Sheffield was the first to use a tube for toothpaste. 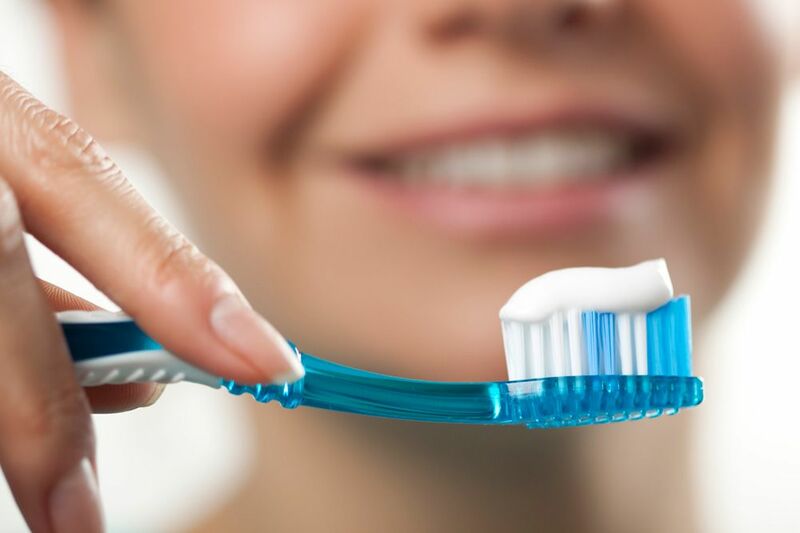 With the 20th century, the primary innovations in toothpaste involved a better understanding of formulas and ingredients, and how to better protect a person's teeth. In 1914, fluoride was introduced into toothpaste in order to help strengthen tooth enamel and help prevent tooth decay. As the century continued, less abrasive toothpastes were developed in order to protect the teeth from being polished too hard or too coarsely. Later in 20th century, toothpastes began to add bleaching ingredients, allowing people to gradually improve the whiteness of their teeth while performing normal oral hygiene. For more information about improving your dental health and what oral hygiene practices can enhance your smile, be sure to contact an experienced cosmetic and restorative dentist. We look forward to your visit and discussing these matters in greater detail.